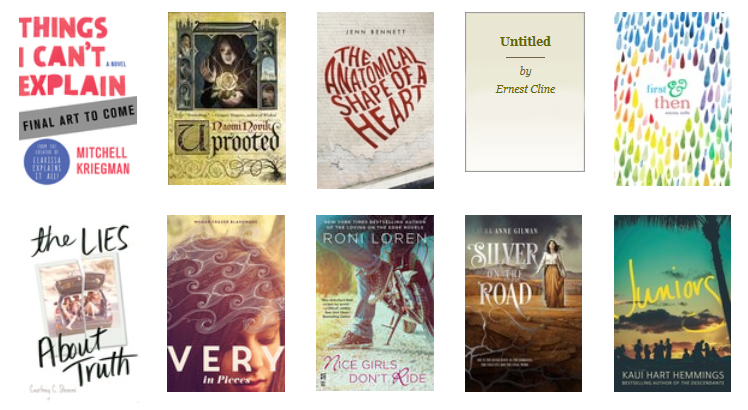 January is halfway over already but there were so many books being published this month on my reading list! I don’t set a “to-be-read” list for myself each month (aka “TBR”) because I’m such a mood reader, but I do like to keep track on Goodreads when all of my anticipated books come out so I can try to read them around their pub date, if possible! Today I wanted to share with you some books that are still on my January 2019 TBR and a few I’ve read already! THE GIRL KING by Mimi Yu | I picked up an ARC of THE GIRL KING at ALA this summer but haven’t made it around to it yet. I’ve been waiting to see the reviews for it because the book sounds interesting but I’ve also been shying away from some YA fantasy if I don’t know the authors. I’ve gotten fairly picky and have put a few other YA fantasy books down because they just didn’t feel any different from others I’ve read before. FAMOUS IN A SMALL TOWN by Emma Mills | I received an ARC of FAMOUS IN A SMALL TOWN from Macmillan publishers and I keep hearing such good things bout Emma Mills’ books! I’ve only read FIRST & THEN of hers so far and it was enjoyable but I didn’t super love it, so I haven’t gotten around to reading a lot of her other books yet, plus nothing else she’s published is available on audio, which is how I read 75% of my books. THE VANISHING STAIR by Maureen Johnson | I read the first book in this series, TRULY DEVIOUS, last year and was very interest by it! I didn’t realize that it was a series so I was kind of bummed and surprised, but fortunately I requested this one on audio from Harper and I’m interested in continuing the story! CIRCLE OF SHADOWS by Evelyn Skye | I absolutely loved Evelyn’s Skye’s debut series with THE CROWN’S GAME and I’m so excited to read a new book from her! I can’t wait to see what CIRCLE OF SHADOWS has in store! I got this one on audio from Harper as well and I’m excited to listen to it! A CURSE SO DARK AND LONELY by Brigid Kemmerer | I’ve seen so many glowing reviews for this book and so I started reading it the other weekend! It’s a really interesting concept so far with its Beauty and the Beast adaptation with a modern twist, but still keeping that fantasy world there. KING OF SCARS by Leigh Bardugo | And of course, there’s the highly-anticipated KING OF SCARS! I’ve been waiting for this book ever since it was announced (maybe even before then haha!) and it will be something I pick up the day that it’s released! UNDYING by Amie Kaufman & Meagan Spooner | I absolutely loved UNEARTHED, the first book in this series, when I read it last year so I was dying for UNDYING (no pun intended)! I actually didn’t know that it was only a two-book series so I wasn’t ready for the way it ended. I was actually hoping for a little bit more space-action so that was a little bit of a bummer but it was still interesting! THE WICKED KING by Holly Black | I had to read THE WICKED KING on its release day, naturally! I had similar feelings to THE CRUEL PRINCE, where it was enjoyable with a lot of great plotting and planning but I still didn’t quite love it. 99 PERCENT MINE by Sally Thorne | THE HATING GAME was one of my favorite books in 2017 (I read it in 2017, published in 2016) so I was dyingggg for more from Sally Thorne! Sadly, I didn’t connect with 99 PERCENT MINE much at all. The more I think on it, the worse I feel about it, which is even more of a bummer. Which January books are you excited to read? Are any of these on your TBR, or have you read any on my list? This entry was posted in Books and tagged Books, List, TBR on January 17, 2019 by Brittany. It’s been over four years but… I finally hit that blogging slump. I’ve been so in love with blogging that I just didn’t see it coming! I’ve been so passionate about my blog and what I do here that I just didn’t anticipate falling into a blogging slump! Sure I’ve had book slumps and ARC slumps but I just didn’t see a blogging slump happening… but as I sat in front of my computer, trying to think of a new blogging topic on and off all day, I realized it had finally hit me. I’m still passionate about blogging but a little thing called life got in the way. Ever since the candle company really started picking up, I just haven’t had as much time to keep up with blogging as I used to. I do most of my candle work on the weekends and at nights but there’s also a lot that cuts into reading time and things to keep up with when I could be blogging. When it comes down to it, I end up doing things for my business first and then for my hobby second, naturally. Then there’s just the matter of a slight burn out after doing this for so many years. After over four years of blogging, you learn what works for you and what doesn’t. You see so many people come up with creative ideas that you admire but don’t want to copy. It’s become a sort of vicious cycle with me as well to feel like I don’t have interesting posts and then I come up with one new thing to either hate it later or it was so time consuming that I just don’t have time to repeat it. Reviews are a staple but they take a long time to write. Top Ten Tuesday is always an option but I don’t feel like as many people are interested in stopping by as they used to for that and I feel the obligation to link and post photos but that’s so time consuming as well. Not every blog post has to be a long blog post but I’m so long-winded and at times maybe too thorough that I have a hard time coming up with a meaningful, short post. I think it’s my own fault, in some ways. I used to have so much content (and so much time) that I would post every weekday. It was fun to come up with new posts and I couldn’t wait to share them with everyone! Now that I have much less time to write, it’s not a “chore” to come up with a blog post but I don’t have those creative writing juices flowing as much and the posts that I used to spend literal days on, I just can’t do anymore. I also got used to the post-every-weekday routine that now that I don’t have as much time, I feel like I’m totally slacking when I don’t. I know that’s silly and it’s totally me but it’s making me feel like I’m in more of a slump than I am. So how do I get out of this blogging slump? I’m not totally sure! Maybe I’ll try to come up with some shorter yet fun blog posts. Maybe I’ll just write all the reviews that I need to catch up on and do all of those at once. Maybe I’ll try to allow myself not to post every weekday (I truly don’t need to) and keep the content fresher because it doesn’t feel as urgent and forced. New blogging ideas are always so much fun but after four years of writing posts, it does get hard to come up with new things every once in a while! Right now, the dreaded blogging slump is hitting me hard but I’m sure I’ll swing back up when I get some creative inspiration! What’s your method of busting out of that blogging slump? Do you try to stir things up with new ideas or simply take a break? Where do you go for inspiration when you feel like you’re totally out? This entry was posted in Blogging, Books and tagged ARCs, Blogging, Books, Discussion, Reading, TBR on October 5, 2016 by Brittany. In my previous discussion on book slumps, I talked about how I’ve been having a lot of trouble with “okay” books lately and feeling like I was just being too hard on books recently. The more I thought about it, it wasn’t necessarily that I was being too hard on any particular book but the more I keep on reading, the more I realize quite precisely what I like and dislike, and more particularly, the more my TBR stacks up with books I really want to read and books I sort of want to read. My reading habits and TBR tackling-strategies tend to waffle back and forth between reading on a schedule and throwing caution to the wind but I’m really starting to lean back to the “caution to the wind” side of things again. Like I have in previous times, I think part of my reading slump was due to reading too many “obligation” books. I am so thankful for the opportunity to work with publishers and I’ve gotten better at saying no and picking up only the books I’m really interested in but I also think I still have a little room to improve on that. I’m sure you’re asking, “Why ‘obligation’ books? You’re choosing them yourself, aren’t you? This isn’t school.” Why you are correct. I am choosing those books for myself. BUT once I’ve made a commitment to read a book or read it on a specific timeline, it starts to feel like an obligation. Even if it’s a book I wanted to read anyway, once I make a commitment to read a book and send a review back to the publisher or to participate in a blog tour, a lot of times it becomes — dun dun dunnnn — WORK. It’s silly because reading is always fun but then I have a stressor there of having to read it by X date and make sure my blog post is done so I can post it or send it along. So here’s my recent (or really not recent at all but recurring) issue: ARCs always have dates attached to them. No matter when I receive an ARC, I always feel like there’s this little clock looming over my shoulder counting down to the publication date. There are still so many times I totally forgot that a book was coming out soon and I see the “book birthday” tweets on social media and feel just terrible that it was another book that I didn’t read “on time”. So then I scramble to try to read it and push more books to the side that maybe I want to read more than my “commitment” book. Then I don’t make time for my must-reads because I’m too busy playing the vicious cycle of catch-up on all of these ARCs. I will admit that it’s very, very hard for me to turn down the nice and shiny and new. I’ve been blogging for over four years now and some of the shininess of ARCs still hasn’t lost its appeal. One thing I am resolving now — like, right now — is to really fight that urge to request (or simply accept) some of these ARCs that I don’t need to read right away. I had started slowing down on ARC and egalley requests a while ago but I was still having a hard time when being directly presented with an opportunity — a blog tour, a review copy, a chance for promo — and those were still stacking up on a list of things that I had to accomplish and frankly, my time to read and relax these days has shrank even more. The last thing I need is a list of “things to do” for my hobby when I can’t even finish my list of things to do around my house. So as of right now, I am making a better attempt at really only requesting and accepting the review copies of books that I really want to read RIGHT NOW. If it’s not a book I want to read RIGHT NOW that means I’ll push it aside. If I push it aside, it’s not something that I need a review copy or advanced copy of. This allows someone else to read the book who may have a lot more time to read it than I do, who may appreciate it more than I do, and who might be able to do better promo than I can right now and I really want that person to have the book instead of having it sit on my shelf until I can get to it. If time passes by and I still want to read it, I can always borrow it from the library or buy it and then it’s back to being a leisurely read and not something that I feel like I have to finish by a certain date. This is not commentary on other bloggers’ habits or reading habits. This is not commentary on how others use (or don’t use) ARCs. No matter what anyone’s opinions are on that, this is not the post for it. This is my own personal statement and promise that I want to be held to because at a time where my must-read books are going unread, it’s time to take back control of my TBR pile! 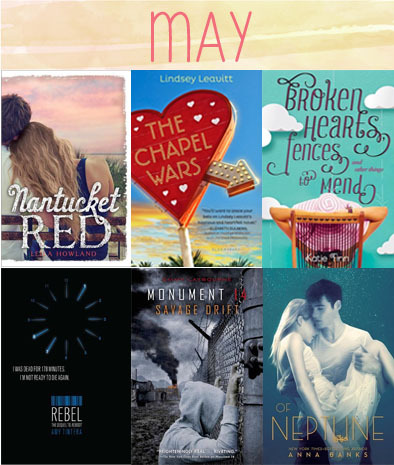 I’m not saying goodbye to ARCs for good. I love working with publishers and having books presented to me that I might not otherwise know of or choose for myself. I’ve found some awesome surprises thanks to publisher recommendations and review copies! But I am making a sincere effort to read those books that are truly calling my name and I am still more than happy (understatement) to get my hands on my most-anticipated books early in the form of ARCs (I’m eyeing you, HEARTLESS and GEMINA and others) and taking a step back from the maybes for now. I do still like mixing things up and requesting something that may be flying under the radar or requesting an ARC on a whim but for now, I think I’m pulling way back — at least until I can get my TBR stacks more under control! What’s your relationship with ARCs? Are you swimming in unreleased titles? Overwhelmed with current releases? Making your way through backlist books? Have you pulled back with requesting as well? 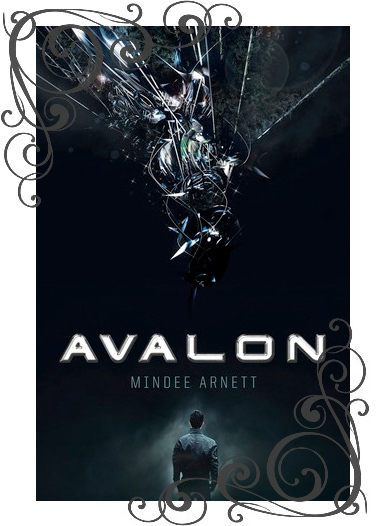 This entry was posted in Blogging, Books and tagged ARCs, Blogging, Books, Discussion, Reading, TBR on June 15, 2016 by Brittany. The Scorpio Races | Sean & Puck: Where are Sean and Puck now? What are they doing? How is life after the Scorpio Races? Does Sean create a successful business? What happened to Puck and her brothers? What happened to Corr? I just need so much more of them BUT I also don’t think that story should go on. I just want to peek into their lives! If I Stay/Where She Went | Adam & Mia: WHERE SHE WENT sort of breaks my heart all over again each time I read it. I know how it ends and it is fantastic but I would looove to peek into their lives now and see how they are in their 20s, hopefully happy. Honestly, I could read more about them forever. This one I WOULD love to read more of! Nantucket Blue/Red | Cricket: I LOVED these books. I keep joking (to myself. Hopefully that’s not too sad of a thing because I never got around to writing a post about it) that I would read “Nantucket Old and Gray”. I loved this series and Leila Howland’s writing and I could honestly read them forever. I wish I could! Harry Potter | All characters: Of course Harry Potter is one I will never, ever tire of. I would love to read more about the characters as adults. I would love to read more about the teachers. I would love to read more about the new generation, the Marauders, the histories, a different school, a new side of the wizarding world that we don’t even know about. The wizards in Egypt, a book about Quidditch players, a wizard who got trapped into going to a Muggle school, the students of Durmstrang. Honestly JK, it’s not selling out. WE WANT THESE. WE NEED THESE. The Grisha Trilogy | Alina & Mal: This is another one where I really wouldn’t want another book or novella because it ended so perfectly, but I would LOVE to see little snippets of Mal & Alina’s lives now. Maybe they will appear in Six of Crows!? 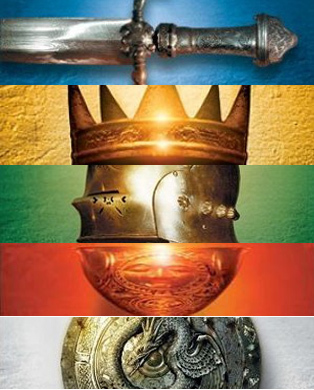 Rainbow Rowell’s books: I’d love to check in on all of Rainbow’s characters! It would be great to see all of them again but I think I’m most anxious to peek in on Eleanor & Park! Also, Rainbow mentioned that there was an appearance of two of her characters in LANDLINE! Did you catch it? Anna/Lola/Isla by Stephanie Perkins: I absolutely love love loved seeing Anna in LOLA and both girls in ISLA (and even Isla in ANNA! Whew, appearances all around)! It’s so entertaining to see these three books overlap and to be able to see what each girl is up to now. And it truly is the BEST THING EVER at the end of ISLA when we get to see what Anna and Etienne are up to!!! His Fair Assassin by Robin LaFevers: Each book was very much its own story and yet they all tied together to the main plot. I really loved getting sneak peeks of what Ismae and Sybella were up to in MORTAL HEART and it was great to see Annith in GRAVE MERCY and be able to see a part of her before her story truly took off! Gayle Forman’s books: These are almost more like Easter Eggs than cameos… but I LOVED how a band from SISTERS IN SANITY was mentioned in IF I STAY and how Adam Wilde’s music is mentioned in JUST ONE YEAR. It’s so fun to see those two worlds cross over and know they exist together even if the characters don’t share the same story! Which books would you love to peek in on again? And isn’t this the BEST thing about companions!? 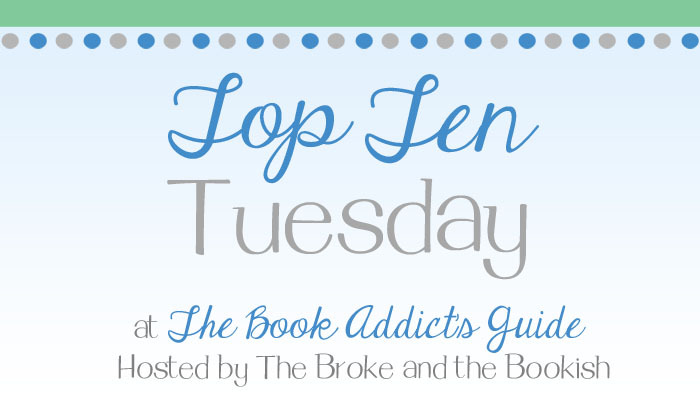 This entry was posted in Books, Top Ten Tuesday, YA and tagged Books, TBR, Top Ten, top ten tuesday, YA, Young Adult on April 7, 2015 by Brittany. I’m actually really excited for this! I just added some REALLY good books (or what I hope will be good books) to my TBR and some that I’m incredibly interested in so I took the last ten from Goodreads and added them to this post! I can’t wait to hear what you guys think of these too! Which ones are you most excited for? It’s SO hard to choose but I know I’m VERY MUCH looking forward to this Clarissa book!!!! 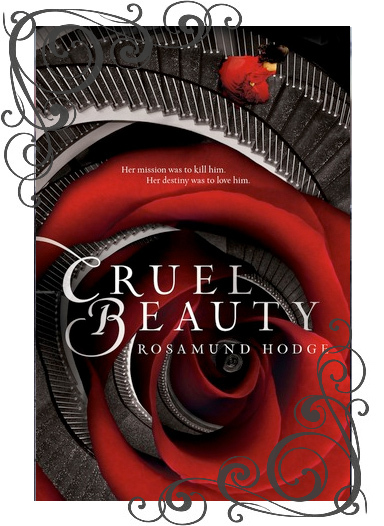 This entry was posted in Adult, Books, Top Ten Tuesday, YA and tagged Books, TBR, Top Ten, top ten tuesday, YA, Young Adult on March 31, 2015 by Brittany. I got tagged by Andi from Andi’s ABCs for this fun book tag! I feel like I’ve been keeping up with my blog posts but since I’ve been pretty busy lately, it’s been hard to keep the fun in them. This one is purely for fun because I love surveys and it’s just a neat idea to do for kicks! And I also LOVE talking about my TBR pile! GOODREADS. Goodreads and my “Review Log of Shame” (yes, that’s really its title). 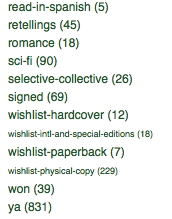 I am OBSESSED with logging things on Goodreads. From TBR to categories to DNFs — I’ve logged it all! Mostly print. I have shelves for the books I’ve grabbed from Netgalley and Edelweiss but I have so few ebooks that I’ve actually purchased that I actually don’t even have a spot for them anymore. I don’t mind ebooks but usually I’ll only purchase ebooks if there’s a good deal. Otherwise, if I’m purchasing a book, I just prefer to have a physical copy. It’s so exciting to have a book show up at my door or to bring it home with me! I just checked Goodreads (SEE? I need it for help. Always.) and DRACULA is the winner! Apparently I added it on Halloween in 2010. Yep. I’ve had the book for four years and I still haven’t read it. I think I started it a long time ago but wasn’t into it at the time. I still wanted to read it but the classics are hard for me sometimes so they’re not usually what I’m in the mood for when it’s time to pick up a new book. Maybe I need to buddy read this with someone sometime! A book that you recently added to your TBR pile? THE GHOSTS OF HEAVEN by Marcus Sedgwick and THE QUEEN OF BRIGHT AND SHINY THINGS by Ann Aguirre! I just received these two lovelies in the mail from Macmillan and finally added them to my TBR! Hmmm. I don’t think anything strictly BECAUSE of cover but covers have certainly attracted me! 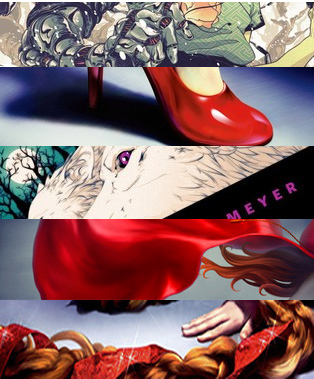 THE RED QUEEN immediately drew me in and I admit… I barely read what it was about before adding it to my TBR! Truthfully? I actually have some that I bought because I had talked to the author back when I was a newbie blogger and those books have been on my TBR ever since but I was never really super excited about reading them. Then I still have a bunch of cozy mysteries that I bought yeeeaaarrrs ago. I ditched a few series but still own some so I’m hanging on to them but I don’t know that I’ll ever read certain ones. TONS. Here I will just give you this link to my “omg can’t wait list“. I was going to try to pick but between Leigh Bardugo, Marissa Meyer, Emery Lord, Gayle Forman, Robin Benway… I mean HOW. HOW DO I CHOOSE? *winces* DON’T HURT ME. I totally planned to read this this summer and then wedding planning got the best of me. See above? Haha! Also: Mara Dyer. Also: Amy & Roger. Also: tons more. JUST TBR? 639. Total Goodreads shelves? 1255. Yay!! Thanks to Andi for tagging me! So much fun again!! Once again, I’m not going to tag anyone in particular because I’ve seen this floating around and not sure who’s done it already so if you see this and want to complete it, consider yourself tagged! 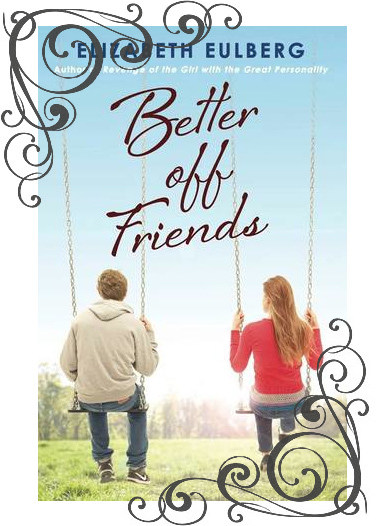 This entry was posted in Books and tagged Book Tag, Books, Just for Fun, TBR on October 3, 2014 by Brittany. 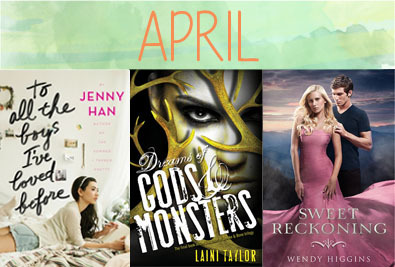 It’s been a while since I’ve done Top Ten Tuesday but I am BACK and ready to talk about my most-anticipated spring releases! Since I don’t really plan a reading schedule, I’m going to go with books releasing this spring! 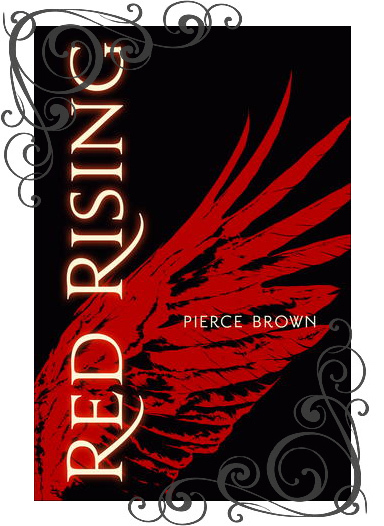 This entry was posted in Books, Top Ten Tuesday and tagged April, Books, May, Spring, Spring 2014, TBR, Top Ten, top ten tuesday, YA, Young Adult on March 18, 2014 by Brittany. There were soooo many good books I read this year — some debut authors, some around for a while so this week we’re celebrating those authors who had books published prior to 2013 but this year was the first that I picked up their books. Super excited for this topic! Glitches (The Lunar Chronicles #0.5) || Cinder (The Lunar Chronicles #1) || The Queen’s Army (The Lunar Chronicles #1.5) || Scarlet (The Lunar Chronicles #2) || Cress (The Lunar Chronicles #3) — review to come in January! 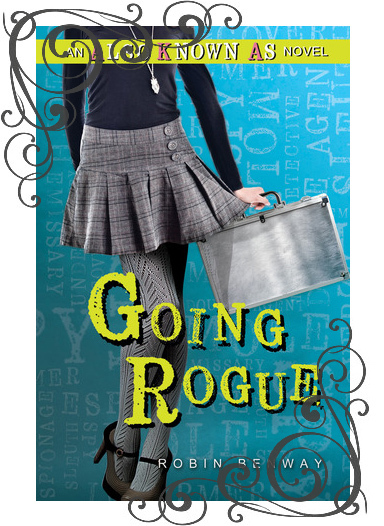 To Read in 2014: Going Rogue, Audrey, Wait! Looking forward to reading more books by these authors in 2014! I can’t wait for new releases and discovering more of their previous works that I haven’t read yet! 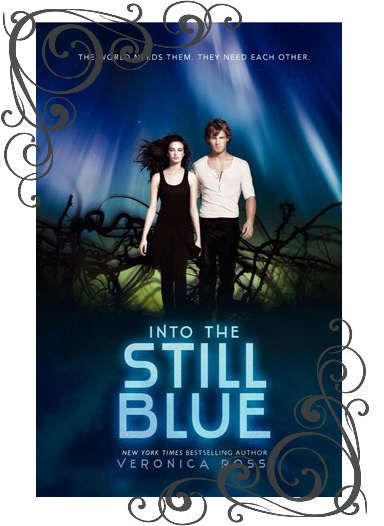 This entry was posted in Books, Top Ten Tuesday and tagged 2014, Books, TBR, top ten tuesday, Winter Releases, YA, Young Adult on December 17, 2013 by Brittany. I actually just started reading the final book in this exciting trilogy — which I think has only gotten better over time! I’m already in love with Veronica Rossi’s writing all over again and I’m so excited to read this book and… you know, actually finish a series as sad as I will be to see it “go”! I enjoyed book one even though I didn’t know much about the original inspiration, The Island of Dr. Moreau. Jekyll & Hyde being the inspiration for this one? Sign me up! Graceling meets Beauty and the Beast. HOW CAN I NOT? Actually, why haven’t I even started this…? 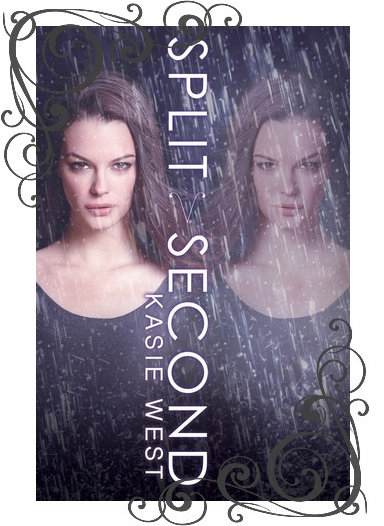 I actually picked this one up as a suggestion from Netgalley and it sounds super exciting! It’s a new dystopian involving a color-caste society and it sounds super interesting and really exciting! I’ve actually been getting into a bit of sci-fi lately and this sounds like a really thrilling and fascinating adventure! Part science-fiction, part dystopian, it sounds like it’s right up my alley! I absolutely adored Also Known As and I’m so excited to read a sequel! And I’m glad that Robin Benway decided to write a sequel haha! 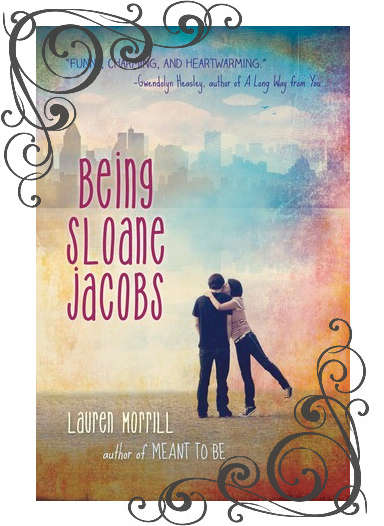 Meant to Be was one of my favorite reads of 2012 — or really, just one of my favorite reads — so I am so excited to read Lauren Morrill’s second book! I read my first Elizabeth Eulberg book just a few months ago and I adored it! I’m so excited to read a new book from her coming out in February! STILL excited to read this one. Highly anticipating its release! Those are the books I’m looking forward to this winter! Now, I know I say this every season but I’m really going to try to stay on top of new releases! Then I end up picking up whatever I want anyway, but still. So many exciting books!!! 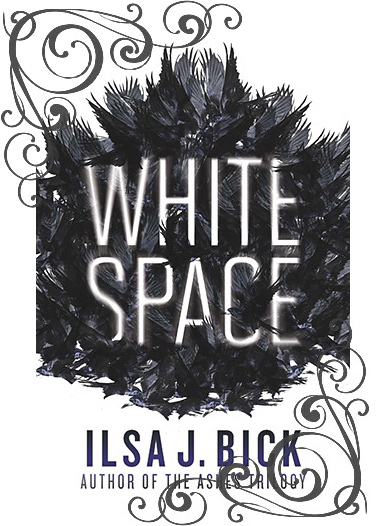 This entry was posted in Books, Top Ten Tuesday and tagged 2014, Books, TBR, top ten tuesday, Winter Releases, YA, Young Adult on December 10, 2013 by Brittany.